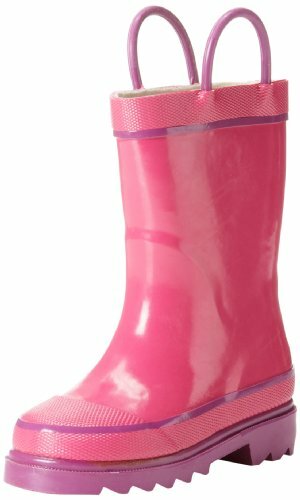 Splashing through the puddles will be a lot more fun with these playful Firechief rainboots. Inspired by real rubber fire boots.These are made with all natural rubber. Just in case a few raindrops sneak in the moisture-absorbing cotton linings will do the trick. Two handles make it easy for kids to pull them on and off. Lightly treaded rubber outsole. Material: Rubber.